Eskadron Flexisoft Sports tendon / brushing boots are a jumping horse boot which is anatomically adapted to suit the horse's leg, made of TPE outer shell and neoprene lining. Two high quality, exchangable synthetic leather Velcro straps ensure optimum hold and an individual fit. The Flexisoft Zone and the specially moulded ergot area permit maximum freedom of movement and optimum wearing comfort. 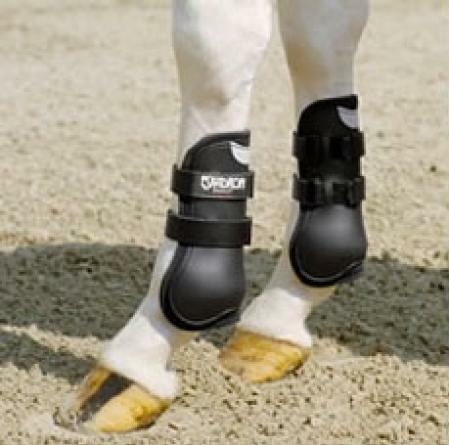 A matching hind fetlock boot is also availabe. Flexisoft Sports tendon boots by Ludger Beerbaum. Sorry nobody has written a review for this product.